Steve Wynn spoke to reporters about the planned casino in Everett in 2016. 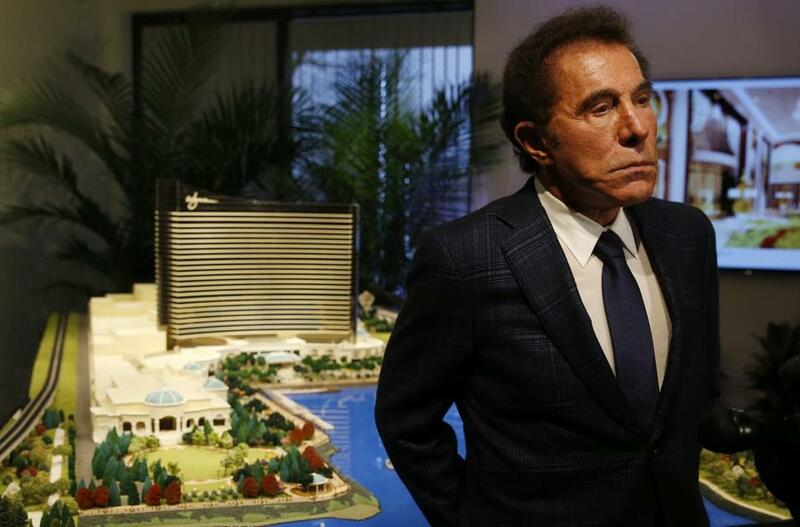 NEW YORK (AP) — Former Wynn Resorts CEO Steve Wynn plans to potentially sell all his stock in the casino operator, a month after he resigned over sexual assault and harassment allegations. Wynn could potentially sell up to 12.1 million shares of stock. He is the largest shareholder in Wynn Resorts with his stake, which totals about 11.8 percent of the company. Shares of Wynn Resorts Ltd. are hovering around $180 apiece, which makes his stake worth about $2.21 billion. Two months ago, The Wall Street Journal reported that several women said the billionaire harassed or assaulted them and that one case led to a $7.5 million settlement with a manicurist formerly employed by the Las Vegas company. Wynn has denied the allegations.